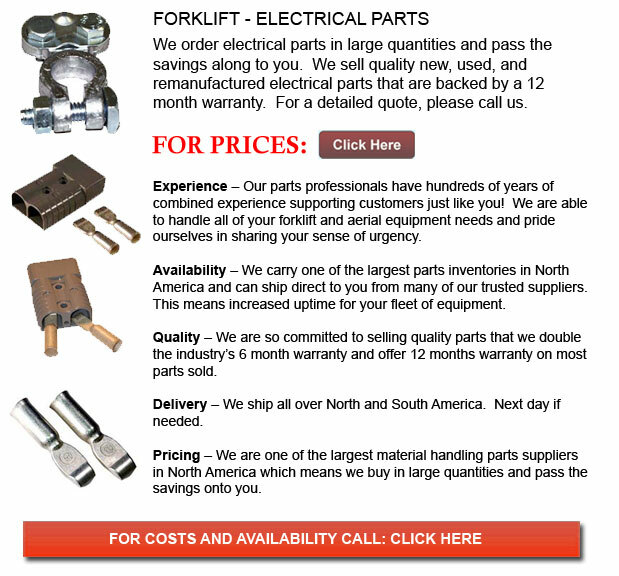 Electrical Part for Forklifts - Lift trucks together with various forklifts could have specific labels for use in certain hazardous locations. The mark denotes that this certain model of lift truck meets the minimum standards of ANSI/UL 553 meant for electric forklifts or ANSI/UL 558 intended for internal combustion engine lift trucks. Applications for labeled lift trucks could be found in National Fire Protection Association NFPA 505 - Powered Industrial trucks including: Maintenance and Operation, Type Designations, and Areas of Use. Check with your local insurance carrier and Fire Marshall for further info regarding the permitted uses of industrial powered lift trucks in your application. If the certain forklift satisfies the outlined standards, labels may be attached. A labeled lift truck would show the type of designation placed on the nameplate and will have a correctly corresponding label placed.